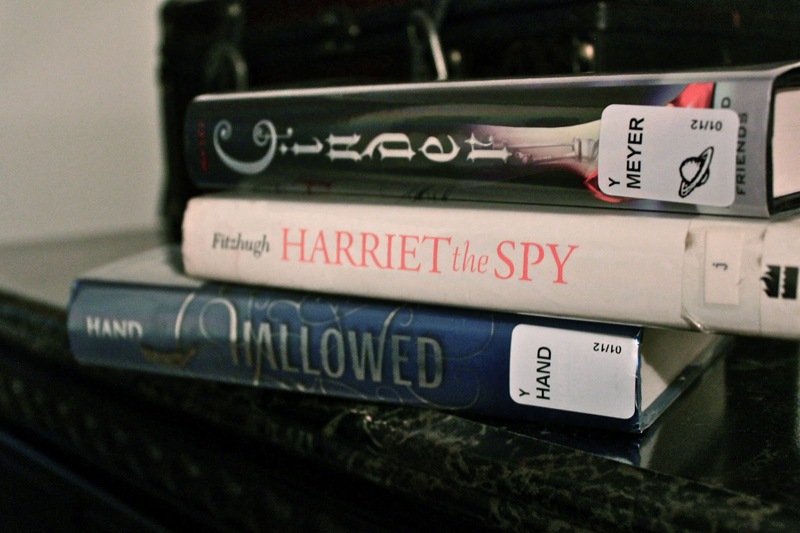 Today at the library I went with the intention to just return a couple of books and to pick up Cinder by Marissa Meyer. Well, my bookmotions (book emotions) are quite weak when it comes to bookstores and especially libraries (because everything is free) and I ended up also getting Harriet the Spy by Louise Fitzhugh and Hallowed by Cynthia Hand. The young adult section can be quite interesting if you're not too embarrassed/ afraid to search through it, haha!